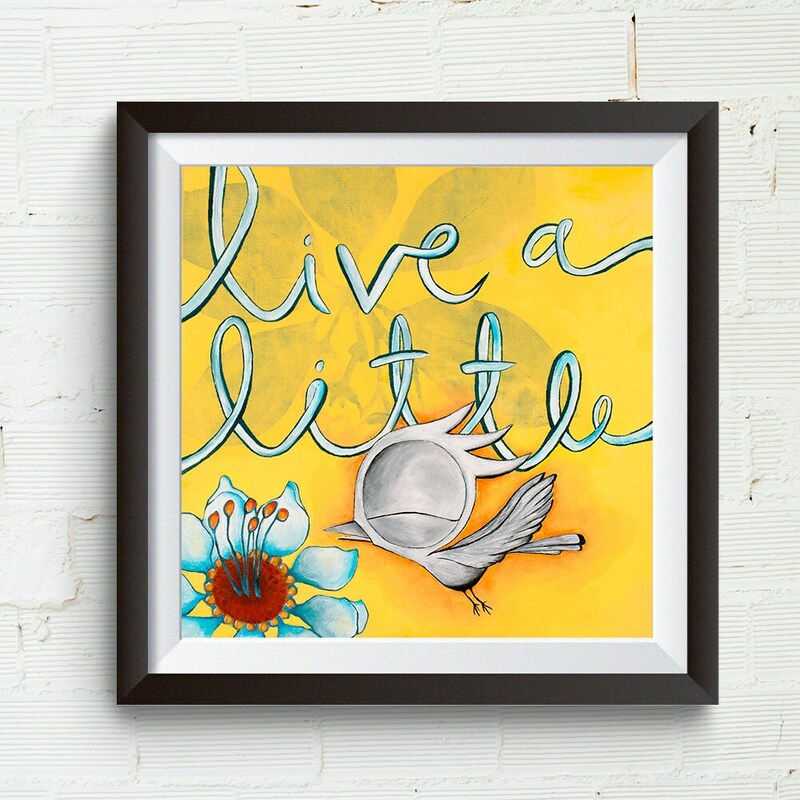 Dream Bird is paired with the expression "live a little" to remind people to live life to the fullest, break out of the comfort zone, and take risks every once in a while. 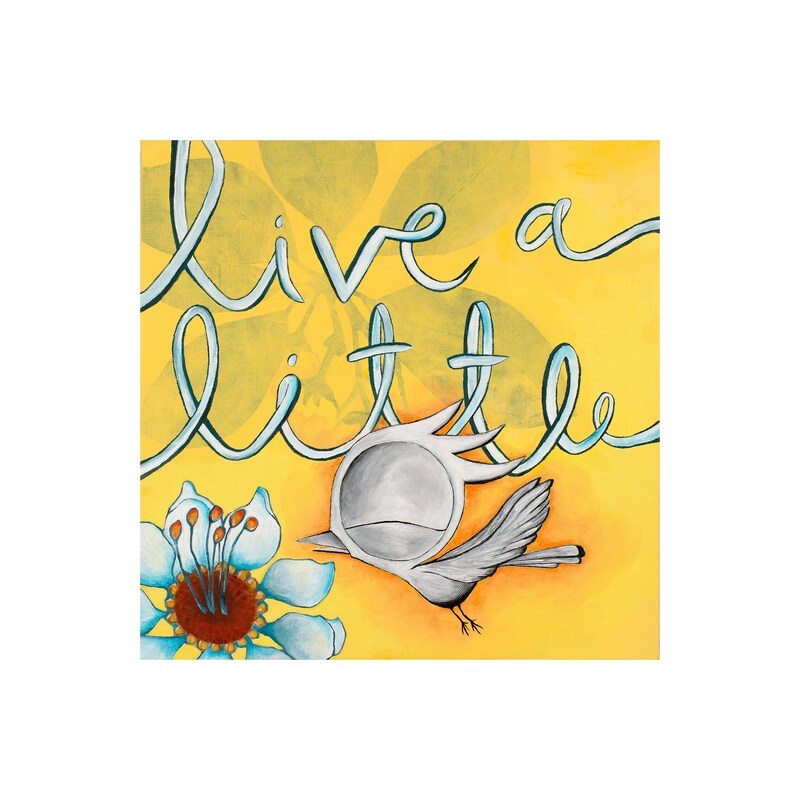 The blue letters are paired with a bright yellow background and flower. 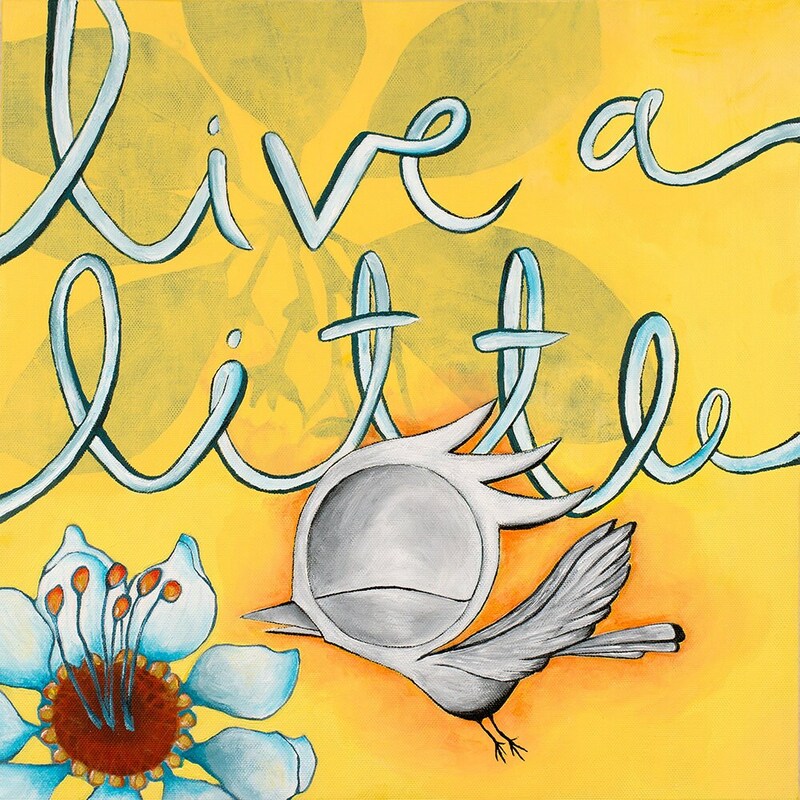 This is a giclée print reproduction of an original acrylic painting on canvas. Welcome to the world of Dream Bird! Dream Bird is always dreaming, which is symbolized by having closed eyes, drawn in grayscale, set in colorful backgrounds, and sometimes paired with “Dream Bird Mantras”. The artwork represents the artist's quest to conquer the pursuit of happiness, and to inspire the world to do what it takes to live a meaningful life. Sizes indicate the dimensions of the paper. The image is printed with a white space of 1 to 2 inches, creating a white border for elegant framing. To get approximate print size dimensions, some cropping may occur on the image shown in the listing. High quality giclée print on enhanced matte paper.